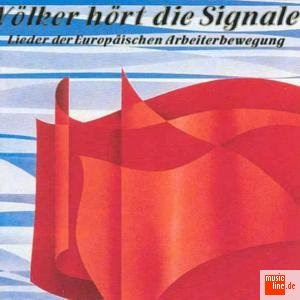 "Songs of the European Workers' Movement" is an excellent collection of workers' songs from European countries. Each song is individual, being performed by singers and musicians from its country of origin. The styles vary from the solo ballad of France's "Les Temps des Cerises" to the brass band and choir of Ireland's "Watchword of Labour". In addition to songs representing the European countries, "The Internationale" was recorded as a traditional song of the working classes in all countries, as well as the "Arbetslose Marsch" (march of the unemployed), sung in Yiddish in memory of the Jewish workers´movement which perished in the holocaust.